With 70,000 + estimated substations in the United States, many do not have secondary oil containment or SPCC contingency plans in case of a catastrophic oil release. 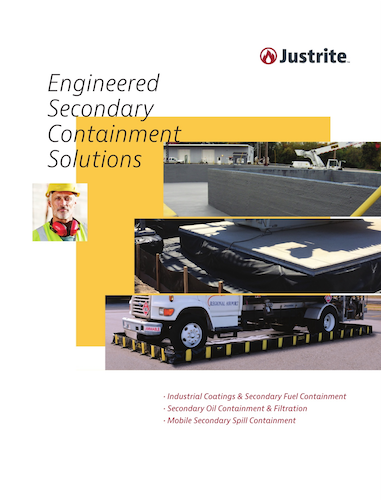 At Justrite, we understand that one secondary containment solution does not fit all. Every site is unique, with different challenges and requirements. That’s why we work with our customers to develop integrated oil containment solutions that are ideal for their site-specific applications. Whether retro-fitting existing containment, designing ideal protection for a new substation, or ensuring SPCC compliance, we work hand-in-hand with our customers to provide the best customized solution possible. Every substation site is different and there is no "one-size-fits-all" oil containment system that works in all situations. Justrite Engineered Solutions offers a variety of customizable, adaptable, preventative oil containment and filtration systems for the power utility industry. All of the solutions are in compliance with IEEE Std. 980 and meet or exceed SPCC and Clean Water Act regulations. Installing more than 10,000 secondary containment solutions globally Justrite provides containment, management and filtration options to help electric utilities identify and solve their containment needs. From the initial process of assessing the site and drafting engineered drawings to identifying the best customized solutions and installation, our consultative team of experts have you covered. There are many options for secondary containment of oil-filled equipment, including earthen berms, liners, concrete moats, fiberglass composite walls, etc. Each features its own strengths and weaknesses, risks and tradeoffs. It is vital that the secondary containment method chosen is PE approved for a particular site to meet SPCC regulations and protect the environment.